What do you think when you hear the word, "blogging?" Have you ever blogged or commented on a blog? Remember, comment based on the "persona" you have been given. Scaffolding student searches ... how much is too much? Teachers need to consider how they deliver these websites to students. I know some people will disagree with me on this, but I approached this concept from the perspective that a tech-savvy teacher should try to maximize the amount of time students are engaged with the information that is relevant to their topic and minimize the amount of time they sit at the computer looking for stuff. I presented this project under the general theme of "scaffolding." It's a term that gets thrown around by a lot of teacher ed. professors, yet most of the preservice teachers I have talked with don't know how to actually operationalize this term. 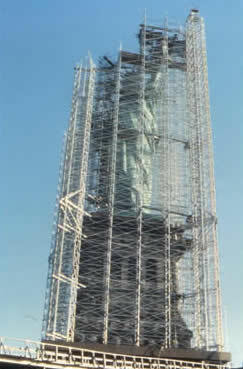 I mean, they can tell me what scaffolding is, but they don't recognize it when they see it in action and they don't know how to do it themselves. So, the scaffolding in this case was both constraining the set of resources given to the students and developing a strategy for delivering that set of resources to students. 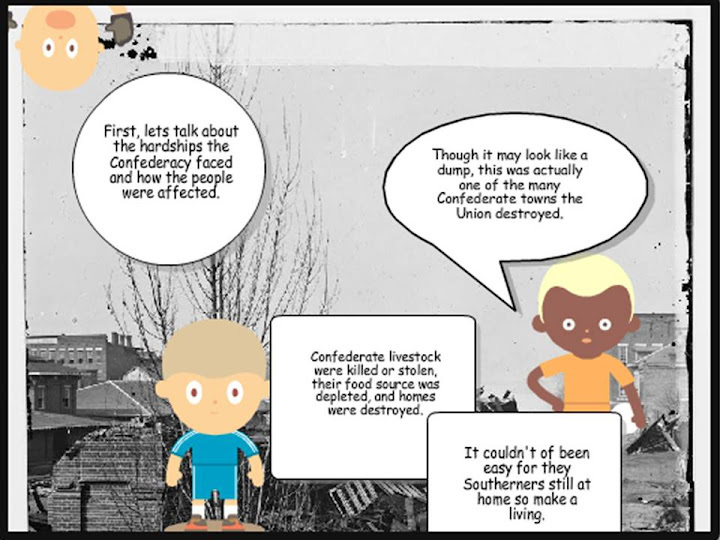 Overall, my students did a pretty nice job on this assignment, but it has me wondering if there are other ways to talk about helping students develop their information literacy. I approach this problem from the teacher perspective without going into too much detail about the students. How do you address information literacy and/or scaffolding with your preservice teachers? Complex systems like criminal justice, health care, and schools, however, are filled with hundreds of moving parts, scores of players of varied expertise and independence yet missing a “mission control” that runs all these different parts within an ever-changing political, economic, and societal environment. Cuban's description of complicated and complex environments really resonated with me, and I have done some thinking on the matter. What really struck a chord with me is the relevance of this comparison to educational technology, specifically coursework and professional development on how to use technology in the classroom. My observation about many of the teaching practices in schools these days is that they are not very complicated. In fact, after a full semester of observing several student teachers concurrently last year, I would say that much of what goes in classrooms is fairly routine (which, according to Merriam-Webster, is: habitual or mechanical performance of an established procedure). This statement applies to the cooperating instructors as much as it does to the teacher candidates. Why is this? Are teachers lazy? Do they have priorities other than teaching? Are they burned out? Actually, no. The overwhelming majority of teachers I have met and worked with love their students, love their school, love their co-workers and are passionate about the profession. Yet many of them show up everyday and do the same tick-tock of learning activities with their students, week in and week out. I think one explanation for why teachers approach their instruction this way is that schools, and classrooms in particular, are complex environments. Teachers have to be sensitive to and balance differences in student ability, behavior, background and home influences, and motivation/engagement. Add to this a very top-down system of curriculum, mandates, expectations and accountability, and it's not too hard to understand why young teachers choose to take a different career path after a few years. Classrooms are complex, with many moving parts, each of which influence each other. I think many teachers choose to simplify their teaching because it's one thing they can do to maintain their sanity and have a life outside of work. Sure, there are those who have made work their life. This was definitely the case for me as an early career teacher with no wife or children and, honestly, not much else to do. One mantra you will hear from technology apologists like myself is that if you ever decide to use technology in your instruction, make sure you have a Plan B. I rarely had a Plan B, and thankfully I had very few experiences when the technology failed me. But this is what gets taught. If you want to teach with technology, have a backup plan. So, does this mean teachers should plan two lessons? I guess it could, which means you have already lost half of your teachers because they barely have time to plan one lesson. If a teacher really knows the lesson inside-out, he or she should be able to make something out of it should the technology fail completely (laptops aren't charged, Wi-F isn't working, servers crash, etc.). But many teachers are turned off by the mere possibility that something could go wrong, leaving them stranded in front of the class with absolutely no clue for how to resolve the issue. When you think about it, whether you are a geek or a total luddite, teaching with technology is complicated. Technology is complicated for most people. It involves steps and protocols, knowledge of different interfaces and nuances that vary between programs, and to some people they feel as if they are learning a new language. It's complicated ... and intimidating ... and something they are very reluctant to try. Human nature leads us toward a desire for mastery, so why would someone introduce a complicated factor into an already complex environment and risk feeling stupid? I don't have an answer to that question. I do, however, think that it's important to give inservice and preservice teachers the opportunity to plan, implement and evaluate complicated technology-rich lessons in a complex environment. Most of the projects I have had my preservice teachers do over the years have been done in a pretty sterile environment. The focus has been more on getting the project done on time rather than designing something that students will ultimately learn from. Tech-based internships or field experiences are a way to address this problem, but I know from experience how time and labor intensive they can be. And we are at a time when some teacher education programs are looking to reduce course loads, not add to them. Everyone already thinks their secret ingredient should be added to the special sauce of field experiences, and at some point they may cease to be useful to the preservice teachers get too distracted from the practice of planning and delivering instruction, and assessing student learning. This post, for me, has generated a lot of questions that I hope to grapple with and address in the coming weeks. Thoughts? I would love to hear what you have to say. I am listening to a presentation about assessing the TPACK (Technological Pedagogical and Content Knowledge) of teachers and faculty. As much as I have read about TPACK, I must confess I am still getting my head around it. Both in terms of research and implementation. Each of these presentations has been very helpful for me in gaining traction in this understanding. I have also been challenged to reflect on my own teaching and TPACK. The more I think about TPACK, I compare it to tightening the lug nuts on a tire: the more you tighten one lug nut, it will create slack in the others. If you want to really tighten all of the lug nuts, you need to tighten each of them a little at a time. You rotate between the lug nuts until all of them are tight. The same is true of TPACK. It's hard to develop all three knowledge domains at once. As a teacher, you might work on one of the knowledge domains, wrestle with it, implement something related to that knowledge domain, reflect on it and then look at it in terms of the other knowledge domains. For example, the more I learn about a content area, the more I will think about teaching strategies to transform that content into learning experiences, and the more I will think about tools to use as part of the instruction, which will make me revisit instructional strategies, which might make me see the content in new ways and consider new ways of representing it. Just some random thoughts, but something I probably wouldn't have thought about were I not sitting in these conference presentations. Go SITE! Now Deion Sanders and I have one thing in common ... we're both Primetime! I was recently interviewed for a news story about the shortage of male teachers in elementary schools. It turned out pretty good, and thankfully I made enough intelligible comments to get included in the story at all. You can watch the news story below. Something old. Something new. Something borrowed. And something ... green? I recently had a great conversation with my doctoral advisor, and he tuned me into Xtranormal, a fairly simple tool that lets you create short animations by typing in text and dragging in motions and other effects. My first project was to see if I could even work with this tool. The interface is pretty intuitive and I made this movie without having to go back and start over (too many times). The whole process was pretty labor intensive, even for a short clip like this, but it at least opens the door for some future projects on how to mashup historical documents with new media. In a day when technology is judged based on its slowness and nothing seems good enough anymore for our cynical world, the words of Louis C.K. ring true with me. I've probably been "that guy" at times, but this will make me think twice the next time I almost lose my cool with a slow Internet connection or a dropped call on my cell phone (actually the cell phone I used to have, since I don't carry one anymore.) Enjoy. People who know me know I hate PowerPoint. It's not exactly the program that I hate, but rather the way people use it. I was recently looking through some notes from a class I took in grad school and saw a packet of printed PPT slides, and there were no less than 72 slides! And every slide was just packed with information. This kind of thing is neither helpful to the students nor a good use of the professor's time. I guess it could be a good use of time for the professor if creating the slides helps him or her form thoughts. Unfortunately, many professors who rely on slides also read from them rather than talking to the class. Despite the evil ways I've seen PPT used, I still use this program quite a bit and think it can be helpful. I just don't use it to create lecture slides. Conference presentations? Yes, but not for class lectures. So, I have decided to dedicate some posts to ways I've used this program in ways out of the ordinary. My main caveat is that some of these ideas are mine, while others were taken from others. I will do my best to differentiate between the two. Make any changes you want to the photo, such as annotations, cropping or adjusting the color. Click "Save as ..." and choose "Other formats"
Then choose JPEG Interchange Format from "Save as type." You can also choose GIF, TIFF or PNG. You will be asked if you want to export every slide or just the current slide. You will also want to save the file as a PPT, in case you want to go in and make more edits later. That's it. The quality of the images is not stellar, but it's good enough for most things. If you want to retain the image quality, then something like Photoshop is probably better, but for a quick way to edit a photograph, this is pretty slick. I have included a slightly more detailed guide on how to do this, in case you're interested. I've recently been busy planning my fall courses while my wife and twins are in Texas visiting family. This is my first time planning education courses where technology is not the central focus. I still plan on using a lot technology in my instruction, and I want the students to have the opportunity to use it as well. The question that keeps haunting me, however, is, "How much technology is too much in a non-technology based course?" I have no idea what they addressed in their technology courses, to what degree they were accountable to master the skills and concepts, or what their attitude is toward learning new innovations. From my own experience teaching ed. tech. classes, even my best students would promptly forget how to do things we did continually in my class (e.g., posting to a blog or creating a link on a webpage). I have been relatively cautious this time around and have not drenched my class projects with technology. This will probably change as I get to know the students and the available resources. As a point of reference, I recently met a graduate of this teacher ed. program, and she was pretty darn tech. savvy. So, this is encouraging. Garr Reynolds does a nice job in this blog post of demonstrating the many mistakes people make when putting images in their presentation slides. The example that resonated most with me was the gratuitious use of stock clip art. I co-taught with someone once who quite literally filled every slide with irrelevant (or relevant but cheesy) clip art. Most of it came from the Microsoft Office Clip Art gallery, I'm sure. I was already pretty sensitive to these kinds of mistakes when creating my own presentations, but I will definitely check more closely from now on. As a confession, I went through a stage several years ago when I would put cool images from Flickr as the background of my slides. I thought I was being clever, but my students hated it. The images were distracting and made the text hard to read. I stopped doing this eventually, and now when I open up those old presentations I am really embarrassed that I put my students through that for an entire semester. That semester also resulted in my lowest course evaluations ever. Could there be a connection between bad PPTs and student disdain for the course? I have more than a few personal examples (and I'm not the bad example in most of them) to verify this claim. I'll never forget my first class session ever of "Teaching with Technology." It was my first semester in the doc program at UVA, and this was the first day of the class I was teaching. After going over the syllabus and other course materials, I tried to get the class to discuss their beliefs about using technology in the classroom. Most of the students made general statements about how they thought it was important because technology is such a part of our society. Everything was going pretty well until one student piped in and said, "I think technology is great as long as students don't use it as a crutch." I had no idea the can of worms that statement would open up. The rest of the semester seemed to be a battle between me and crutch-dom. PowerPoint was perceived as a crutch. Inspiration was a crutch. Digital storytelling was a crutch. The Internet? You guessed it. I guess if one were to follow this line of reasoning completely, everything could be interpreted as a crutch. I mean, Socrates thought printed text was a crutch because it eliminated the need to set everything to memory. I'm being a little sarcastic, but was my student totally wrong? She had a legitimate concern that students would forgo learning certain skills or knowledge because of their dependency on technology. The first thing that comes to mind is spellchecking. I have graded countless papers with substitutions of "there," "'their" and "they're." I make that mistake myself because I don't take the time to proofread properly. I recently had another experience where technology was a crutch when my family and I moved to a new city. In the past, I would keep a map of the city in my car and learn the roads as I drove around. Initially, I would make a lot of U-turns, but eventually I would learn the city inside out. Well, this time we had a GPS, and we used it for everything. The upside of using a GPS is that I never got lost (almost never) and I was pretty much on time to everything. I experienced much less frustration learning a new city than in the past. This week, my wife went to visit her parents for a couple of weeks and took the GPS with her. I didn't think this was a big deal until I tried to get from the downtown to my office yesterday. I was utterly lost, and nothing around me looked familiar until I arrived on campus. Why is this? Because I had been staring at the GPS for two weeks instead of looking around me. Is it possible our students do this? They can get so focused on the tools they are using that they lose sight of the big picture. This is why the role of the teacher is so important. Teachers can structure activities in ways that make the learning objectives the focus, not the technology. They can also scaffold technology use in such a way that students learn without being dependent on the tools.